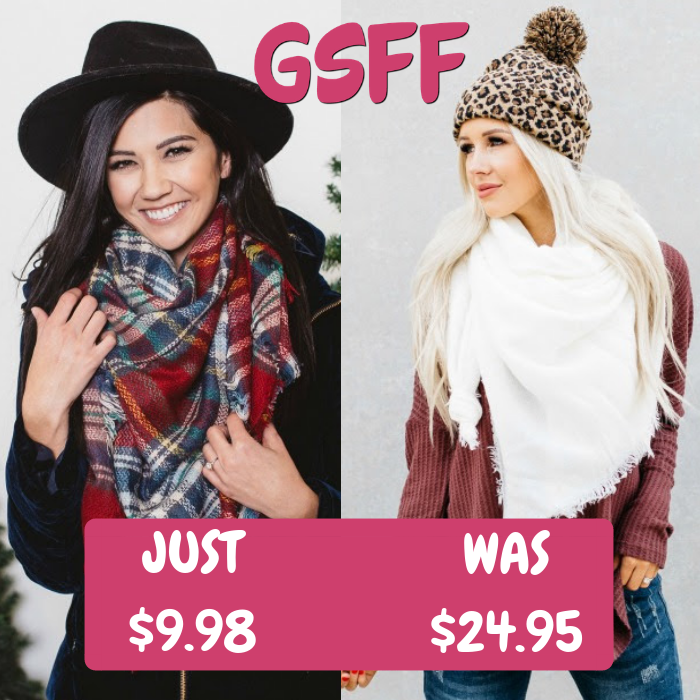 Blanket Scarves Just $9.98! Down From $25! FREE Shipping! You are here: Home / Great Deals / Blanket Scarves Just $9.98! Down From $25! FREE Shipping! You don’t want to miss this deal! Cents of Style is currently offering these beautiful Blanket Scarves for only $9.98 down from $24.95 when you enter promo code SCARFLOVE at checkout PLUS FREE shipping!